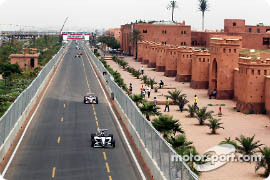 Why not make next year’s Marrakech Grand Prix part of your Moroccan travel experience? 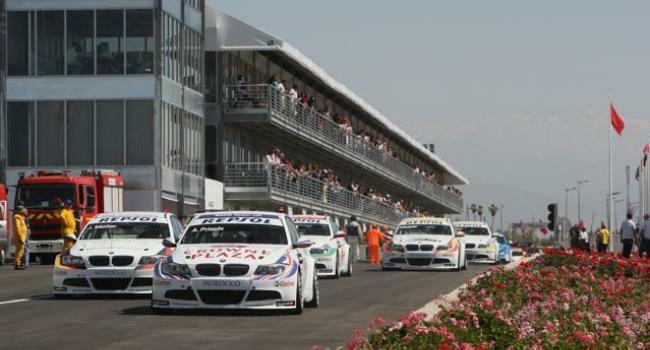 Featuring three days of non-stop action in Marrakech, and attended by nearly ten thousand visitors for the second year in a row, the race is packed with both adults and children. The entire course is well-protected by barriers and grandstands are set up in specified areas. Portable restrooms are conveniently located in all areas. Tickets are available in all price ranges, starting as low as 2 Euros, with VIP packages running as high as 1500 Euros. Most categories of tickets sell out. The most exciting package for 400 Euros, allows attendees to take a ride in the cars, seated behind the driver, where they can experience the thrill of acceleration to 200 miles per hour in 5 seconds. Children and teenagers especially love the noise of the cars and general excitement of the race. Of course, everyone hopes to see a crash, but is relieved when drivers escape unscathed. The crash occured when Portugese-Angolan driver Ricardo Teixeira was trying to overtake Russian driver Ivan Samarin. Teixeira suddenly found himself flying through the air after his car touched the back end of Samarin’s, while trying to overtake Samarin. Austria’s Philipp Eng won the race. Why not make your plans now with Morocco Travel Exploration for attending next year’s Marrakech Grand Prix? It will be held April 30 – May 2, 2011, and remember the best packages sell out in advance. You are currently browsing the archives for the Grand Prix category.